One of the most important findings from our coal ash report is how the coal ash at Plant Barry is polluting our waterways and leaking into our groundwater, threatening our ability and that of future generations to fish, swim, and play in the Delta and Mobile Bay. Plant Barry, a coal burning power plant owned and operated by Alabama Power, has a 597-acre coal ash pond that sits on the banks of the Mobile River, a major artery of the Mobile-Tensaw Delta and Mobile Bay. Our field investigations covering a span of more than two years and Alabama Power’s own monitoring data clearly show how toxic pollutants such as arsenic, selenium, and lead have been leaking out of the pond and poisoning nearby groundwater since at least 2016. So what does that mean for all of us in the Mobile Bay area? For starters, toxic pollutants are entering our water and threatening the health of those enjoying downstream waterways, harming plants and animals in the delta and Mobile Bay, and impacting our economy and quality of life. As you can see in the image to your left, exposure to these dangerous chemicals can cause a variety of health issues including different types of cancers, nervous system damage, impaired vision, paralysis, and more. Plant Barry was constructed in the 1950s, a time before the passage of the Clean Water Act when unlined coal ash ponds were not yet illegal. With no protective liner in the pond, the contaminated water and coal ash has been free to enter the groundwater and pollute the Mobile River. Alabama Power’s federally required groundwater monitoring and samples taken by Mobile Baykeeper and Waterkeeper Alliance have found arsenic levels in groundwater, soil, and sediment samples up to 80 times higher than background levels found in nearby waterways. These findings have resulted in fines against Alabama Power by ADEM totaling $1.25 million for all six of its power plant in Alabama ($250,000 specifically at Plant Barry). Fly ash, the lightest type of ash leftover from burning coal, has been discovered in water samples collected near Plant Barry. The coal ash pond is intended to capture coal ash and settle it out - not flow out of the pond into creeks and downstream toward Mobile Bay. When Alabama Power allows these harmful substances to be discharged from its ash pond, it is violating its permit and threatening the health of those swimming and fishing downstream. Knowing these test results (displayed above/or to your right), it is clear that storing the coal ash at this pond is unacceptable and will continue to pose unnecessary risks to the community. Mobile Baykeeper is determined to find a responsible solution that protects our health, our way of life, our economy, and the biodiversity of the Mobile Bay Watershed. Our goal is simple: we want Alabama Power to do the right thing - move the coal ash out of the water and protect our rivers, wetlands, and Bay for our health and future generations. Alabama Power has proven to be a strong leader and good neighbor in communities throughout the state. It is only fitting that they should be a leader on this issue and make the safe, appropriate decision to protect the health of our communities and environment from coal ash. 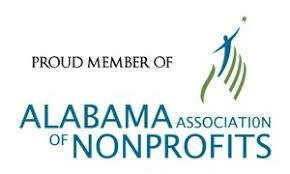 We encourage YOU to take action and tell Alabama Power about your concerns. You can write to Alabama Power in just a few easy steps in the form below. Urge Alabama Power to do the right thing to protect the health of our environment, economy, and community. Visit mobilebaykeeper.org/coalash to learn more about this issue. To read the full coal ash pollution report, click on the button below. Fill out the form below to send a pre-drafted letter to Alabama Power or write your own instead. Questions? Contact Program Director Cade Kistler at ckistler@mobilebaykeeper.org or call 251-433-4229.